Looking for a way to stay involved in education, but not have the headache of grading papers, planning lessons, or teaching all day? The Challenger Learning Center is growing their staff and we are looking for enthusiastic, energetic and self-motivated teachers to help lead our missions and programs. This position is for 6-12 hours per week, depending on mission schedule with possibility of limited number of evenings and weekends. Click here if you want to inspire the next generation of scientists, engineers and explorers. Are you self-motivated, friendly, willing to go above and beyond to help out? Assist CLC staff as you check in students, organize activities, and conduct other tasks while working with students entering kindergarten through eighth grade. This is a great opportunity to build volunteer hours for resume and college applications. Open to high school students entering 9th grade through college. Fee covers t-shirt, background check, and mandatory orientation class. Must complete a minimum of 50 hours between June 10 - August 2, 2019. Call 309-268-8700 for more details, or click here to sign up. Go to Mars, conduct science in the kitchen, build a boat, work with robots, and so much more. Click here for all K-2 camp choices. Build a drone, battle robots, be a superhero, learn about aliens, and so much more. Click here for all 3-5 camp choices. Explore a career or two, build the ISS, step into the future, and so much more. Click here for all 6-8 camp choices. 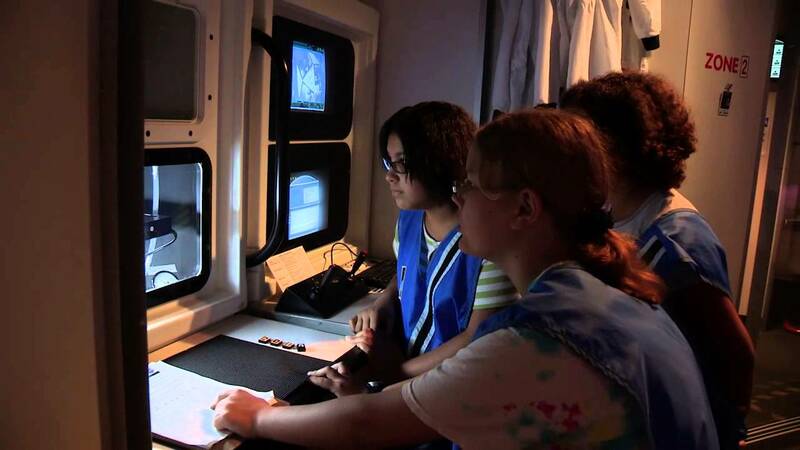 Celebrate the 50th anniversary of the moon landing at the Challenger Learning Center! Hear accounts of the Apollo 11 mission and learn the latest about NASA’s vision for space exploration. Then, take your place with fellow crew members as you fly your very own moon mission! Adults do not need to attend with a child. However, children ages 10-15 must be accompanied by a participating adult. Each person must register for the class. next “small steps” and “giant leaps” NASA plans to take as we fly around our solar system in a simulated spacecraft! Each parent and child must register for the class. Learn about the Challenger Learning Center.